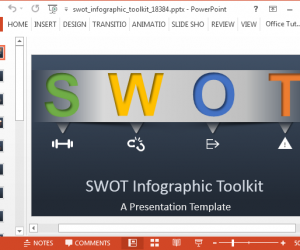 While a quick search on the Office Templates Gallery reveals a plethora of interesting PowerPoint Templates, most of the given templates are hardly anything extraordinary. This is because neither does Microsoft offer a variety of business diagram templates nor are the diagrams (if any) usually editable. This makes it tedious for presenters to create diagrams on their own or to look for images to include in slides. 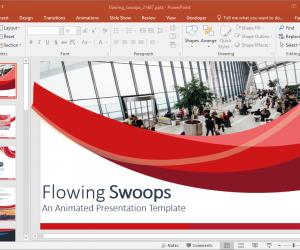 There are however, third-party template providers like SlideModel, which have been able to produce business PowerPoint Templates that are editable down to basic slide objects. 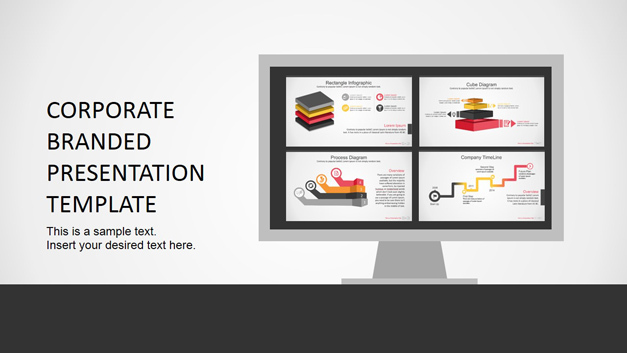 SlideModel’s template designs are uniquely crafted with editable slide objects which can be moved using drag and drop, as well as comprehensively edited to create stunning presentations. In fact, a while back some students even got the US Department of Energy Award, where they used slides derived from SlideModel’s PowerPoint Templates for their presentation. Here is a list of some interesting slide decks from SlideModel, with an explanation of how they can help you make attractive presentations. 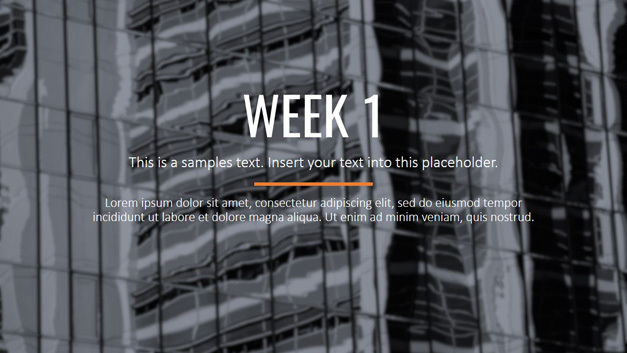 If you need a simple bundle that you can use from time to time for quickly making your slides using some nice looking content, then this can be a good PowerPoint bundle to work with. 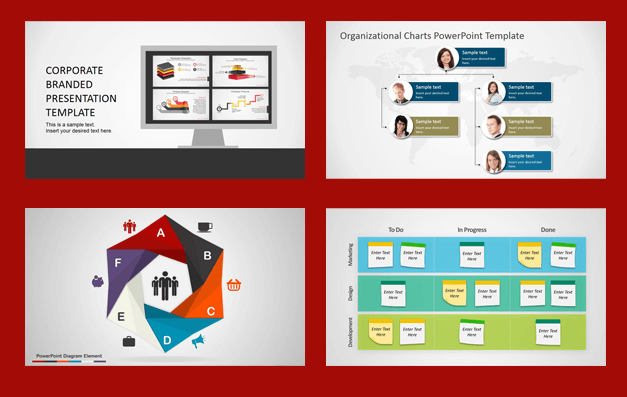 This bundle has been designed specifically for corporate users with editable diagrams that you can readjust to create custom layouts, organizational charts, data charts and infographic slides. 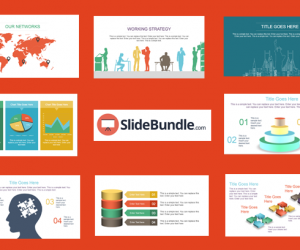 This is a slides bundle which gives over two dozen slides with attractive backgrounds and layouts to help you create professional PowerPoint presentations. 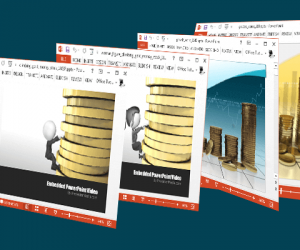 The given sample slides contain general-purpose templates which can be easily manipulated for making business presentations. The template has sample slides for title slides, table of contents, introduction, weekly reports or schedules, calendar and diagram slides, as well as a conclusion slide. 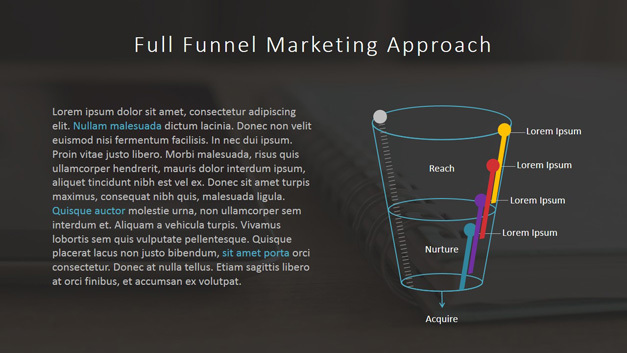 This is a funnel marketing PowerPoint template that can help you create a presentation with comprehensive slides to represent the concept of funnel marketing or to create a marketing presentation. This template contains everything from text-heavy slide layouts to editable funnel diagrams and illustrations for explaining all about the target audience, nurturing the audience and evaluation for your strategy. Every organization requires an organizational chart to clearly list down the chain of command. 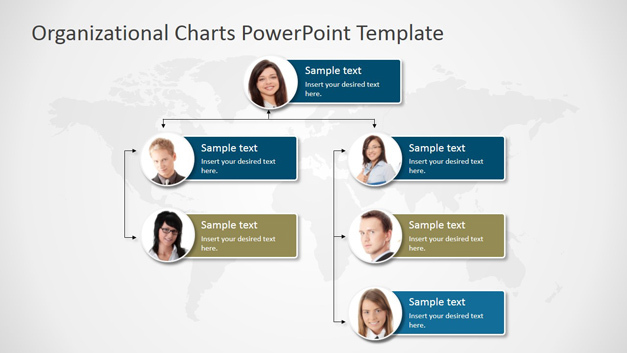 It can however be hard to create PowerPoint presentations with a professional looking org chart. Whether you need to make an organizational chart for a presentation or wish to create a printable chart for your organization, this template has a number of chart slides which you can edit to get the job done. You can easily add or remove hierarchy levels, as well as add images of each member of the organization in your chart. 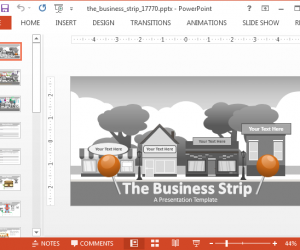 Created using PowerPoint shapes, this origami themed slide deck provides editable diagrams which can be used for making various types of diagrams, including business diagrams. You can recolor, label and readjust slide objects to fashion your slides. 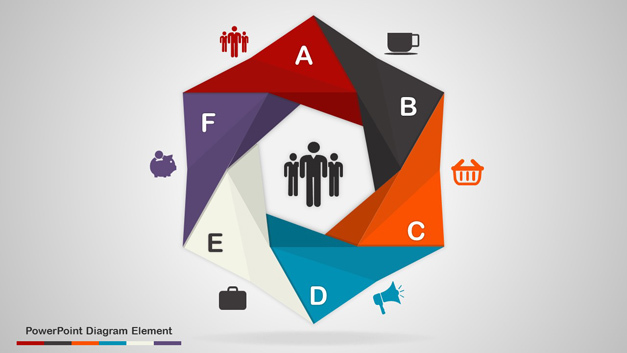 This beautiful origami template has a hexagonal design, with sample icons to help you customize the given layouts according to your specific topic. Kanban is a famous concept for lean and just in time manufacturing. This concept is basically an inventory control mechanism for the supply chain, which was developed by a Toyota engineer to enhance manufacturing efficiency. As Kanban translates as ‘signboard’, Kanban illustrations and presentations can be best made using signboard or billboard like slides. 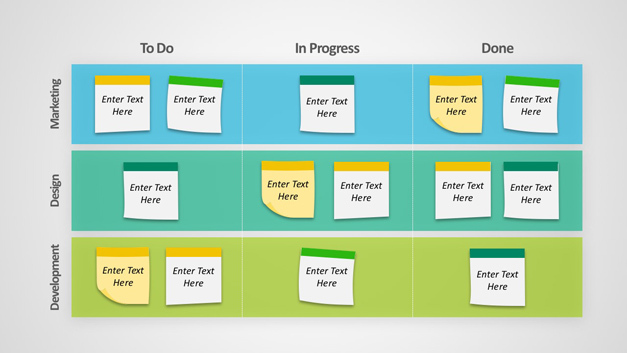 This Kanban presentation template presents various slides suitable for making professional Kanban related presentations. Needless to say, SlideModel also has a plethora of slide decks based on different business concepts and models, such as SWOT analysis, Boston Matrix, Product Lifecycle, Demand & Supply, etc. 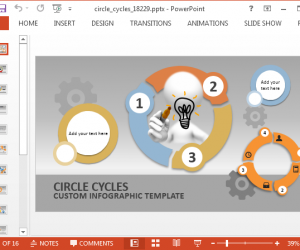 For more editable business diagrams, maps and clipart, head over to SlideModel and check out their subscription plans which give unlimited access to thousands of exclusive PowerPoint Templates.